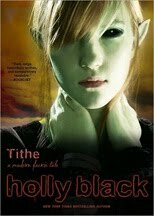 Crazy Book Reader: Tithe: A Modern Faerie Tale by Holly Black. 1. Kaye is an eccentric girl, that have lost interest in life that surrounds her, taken aimlessly by her alcoholic mother, Kaye doesn’t even have the chance or desire of going to school. But when Kaye’s mother has a violent incident with her shift boyfriend, they are obligated to return to the house where Kaye grew up, grandmother’s house. They must leave the city and go back to the small town near the coast, where for Kaye, when se was a girl, fairies and goblins existed, a world that Kaye has met years ago, a Fairy World. Realizing that fairies doesn’t approach to her just in her childhood, but also now, Kaye gets surrounded by intrigues and mysteries of the fantastic world, a world though when she was a girl she loved it, now it just frightens her. And of course there was Roiben, an attractive fairy knight, which for weird circumstances, now own his life to Kaye. 2. The cover of the book, is attractive by itself, it help us make a mental image of how does Kaye looks, which is hard to imagine just by the author’s description. The pages design, is simple and classic, nice, however for a novel with this topic, it will be better something a little more melodramatic. 3. 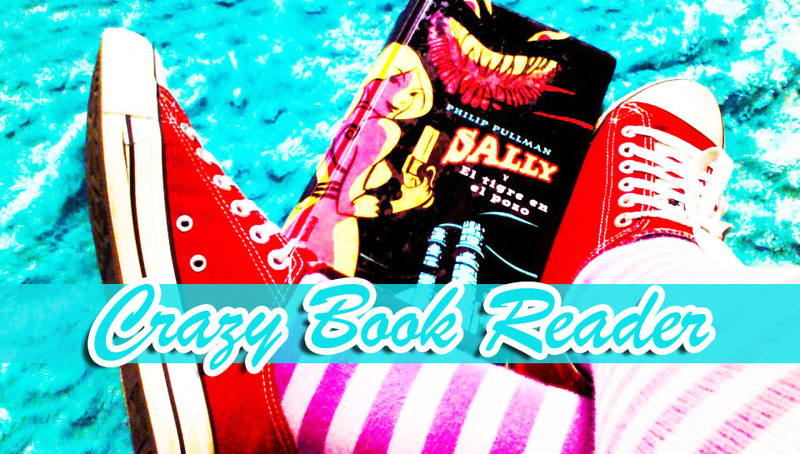 The aim audience of this book is definitely teenagers and young adults, it has fiction, urban fantasy and paranormal romance, and it covers most of the requisites of the audience. 4. The story is not as condensed as it should be, it lacks of strength in the arguments, needs more definition in the details, for me it leaves many loose ends, too many questions without answer, I agree, the topic is approached as if it was not the big deal, the argument goes like so " yes it is a fairy world everything is possible, so imagine the unimaginable", ok I agree in it, nevertheless the authoress could used a little bit more time in perfecting the details. The main characters are nice and in spite of being so dark, and of the way they are approached, are agreeable and well define. The crudeness of Kaye's life, the gray of her situation and the world that surrounds her are pretty real, and the descriptions of the authoress in this case are wonderful, you can feel the marine breeze and the smell of saltpeter and oldness, by reading her descriptions, the environment created by Holly Black is totally real, a hundred per cent tangible. The fairy world, is alse pretty well detail, the gnomes, elfs, goblins, etc. that appier there are fantastic although I would have love reading more about those guys, I believe eitherway, it didn’t worth it. 5. This book keep me reading, turning pages, sometimes because of my desire of knowing what would happen, and some other times for the strong desire of finishing it as soon as possible and turn to other book. I like it, it was fun , and I could read the sequels, however I didn’t get any feelings for the characters, I do not feel the need of knowing what will happen in their future, I take nothing of this book with me, no doubt it will pass me by as many other books have. Not great, not bad, just good. 6. Definitely if you like fairies and their world, you must read this world, maybe you will like the characters and maybe will want to know more about them, who knows perhaps you will in the sequels. So I give this book 2 Crazy Book Cat. I loved this book! I remember when I read it I couldn't put it down! Haha, I have to admit I had a slight book crush on Roiben!